ELLSWORTH — An electric vehicle symposium “The Future is Here” will be held starting at 10 a.m. Saturday, June 2, at the Moore Community Center. 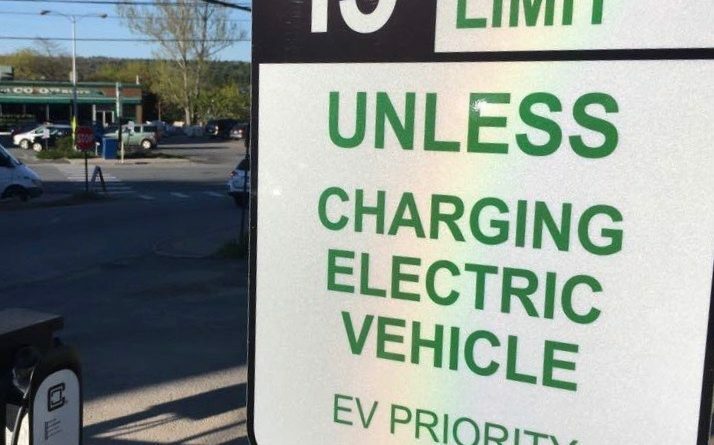 Free and open to the public, the symposium is sponsored by A Climate to Thrive, and will feature a panel of experts who will share information and answer questions about EV basics, building a publicly accessible fast-charger corridor in Down East Maine, and legislative issues affecting EVs. They include Ben Lake of the Greater Portland Council of Governments, Sue Ely of the Natural Resources Council of Maine, Michael Stoddard, executive director of Efficiency Maine, and Gordon Beck of ACTT. Two breakout sessions, one about all things EV and one about charging infrastructure, will provide opportunities for participants to learn everything they want to know about the coming wave of EVs. Enthusiastic EV owners have been invited to showcase and/or offer rides in EVs such as Chevy Bolt, the new Tesla Model 3, the Tesla Model X, the Nissan Leaf, and other EVs. Almost all major car companies are making a major shift away from the combustion engine and introducing a wide range of EVs, including pickup trucks. Join us this Saturday and learn why electric transportation IS the future. The free EV Symposium is supported by Efficiency Maine. For information, visit www.aclimatetothrive.org/evnow.